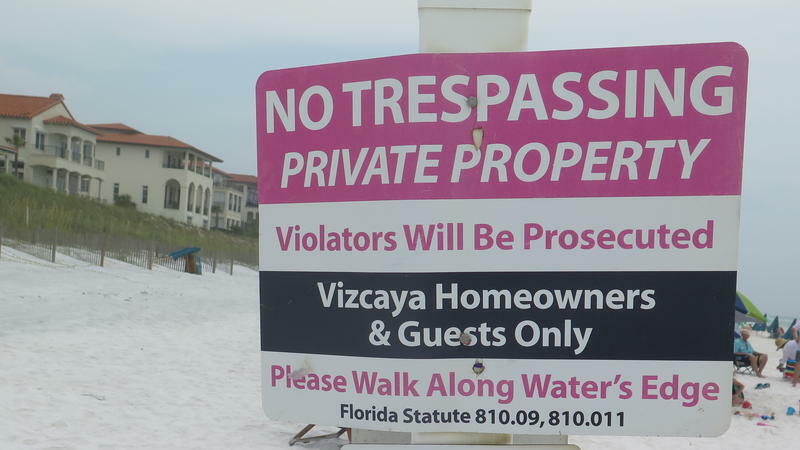 But Senate President Bill Galvano, R-Bradenton, indicated he does not want to revisit a controversial law that critics say can help private landowners prevent public access to some beach areas. Sen. Darryl Rouson, D-St. Petersburg, filed a bill (SB 54) that would repeal the law, which passed during the 2018 legislative session and caused a backlash in places such as fast-growing Walton County in Northwest Florida. Rouson’s proposal to repeal the law is filed for consideration during the 2019 session, which starts in March. But Galvano on Tuesday said he doesn't think lawmakers need to readdress the issue. "I think there was a lot of misunderstanding around that bill, and I was very clear through the summer, and when members would call, to emphasize what we were doing was just bolstering private property rights," Galvano told reporters after being sworn in as president. The issue is centered on a legal concept known as “customary use,” which has generally enabled the public to use dry sand beaches adjacent to the mean high-water line, according to a September ruling in a federal court case on the issue. The mean high-water line is often the boundary between privately owned property and public beach. The 2018 law put in place an extensive process for local governments that want to have ordinances or rules aimed at ensuring customary use of beach areas above the mean high-water line, including requiring them to receive judicial approval. UPDATE: The URL for the Beach Access Map has been shortened to fdep.maps.arcgis.com. Florida has 825 miles of sandy coastline, but it may not feel that way if you don't know where to find public access in between the privately-owned properties.